QuickWave software for electromagnetic design and simulations based on conformal FDTD method. 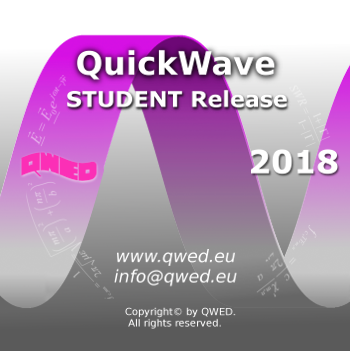 QuickWave STUDENT Release is addressed to all who want to become familiar with and understand the electromagnetic phenomena. QuickWave STUDENT Release gives you the opportunity to go inside the electromagnetic world and follow the newest trends in electromagnetic simulation technologies. To facilitate using QuickWave in microwave courses, the examples investigating basic electromagnetic scenarios are included, as well as a short background description. These examples, together with microwave background description, become complementary introductory to fundamental microwave phenomena.